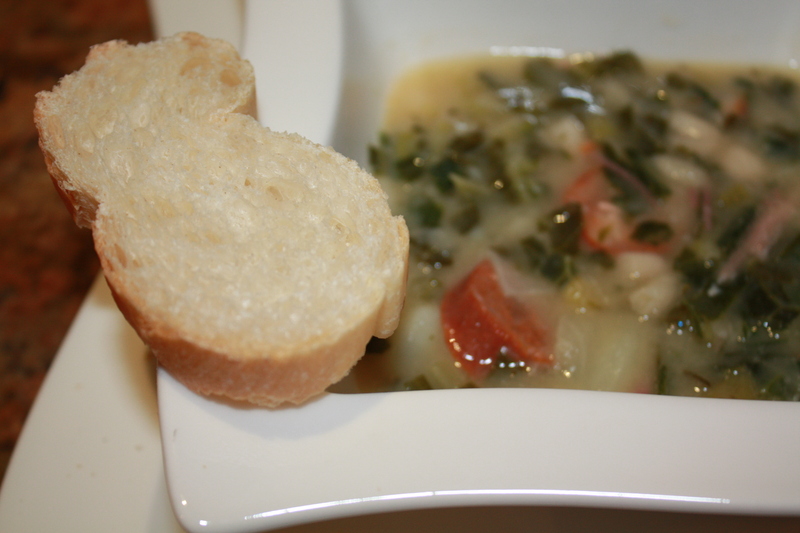 One of my grandmothers is from Galicia, Spain so we grew up eating a lot of Caldo Gallego! This soup has restorative properties when you get sick, have been partying too hard, need to boost your iron or just want a savory hot meal in the cold weather. Some ingredients are not easy to find outside of Spain. 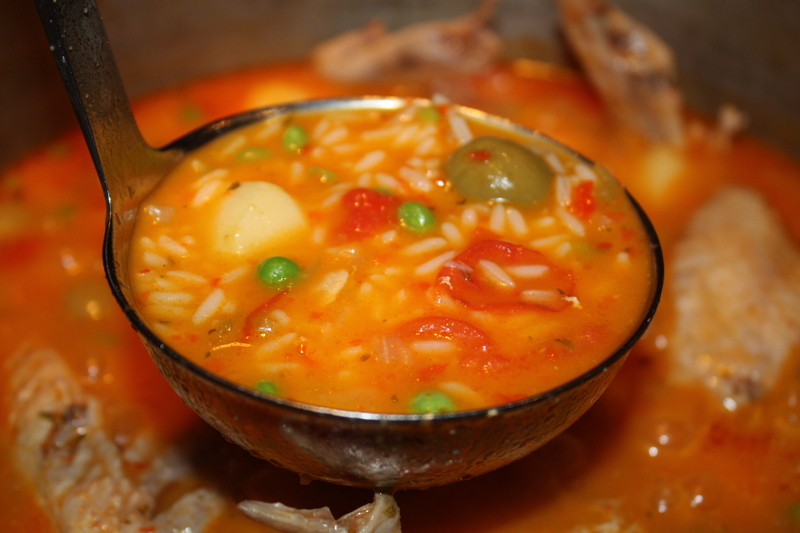 “Lacon”, “unto”, “judias blancas” are the ingredients that give Caldo Gallego its characteristic taste. In Puerto Rico, I buy them at Panaderia La Ceiba, a spanish bakery in San Juan. However, I will provide alternatives for those of you that don’t have a Spanish specialty food store nearby. I usually don’t add salt because the broth has enough salt for my taste, but add salt if needed at the end. 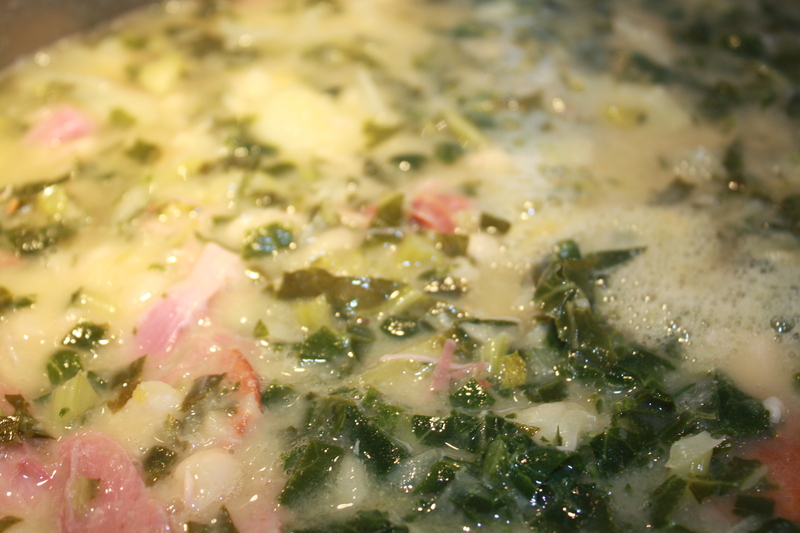 I like to make Caldo Gallego in large quantities because it freezes wonderfully!!!! My aunt and uncle, Lilly and Kas, who live in Houston, Texas know what I’m talking about. Ja! For many years, after Mami Chelo became a widow, she would spend part of the year with them in Texas. 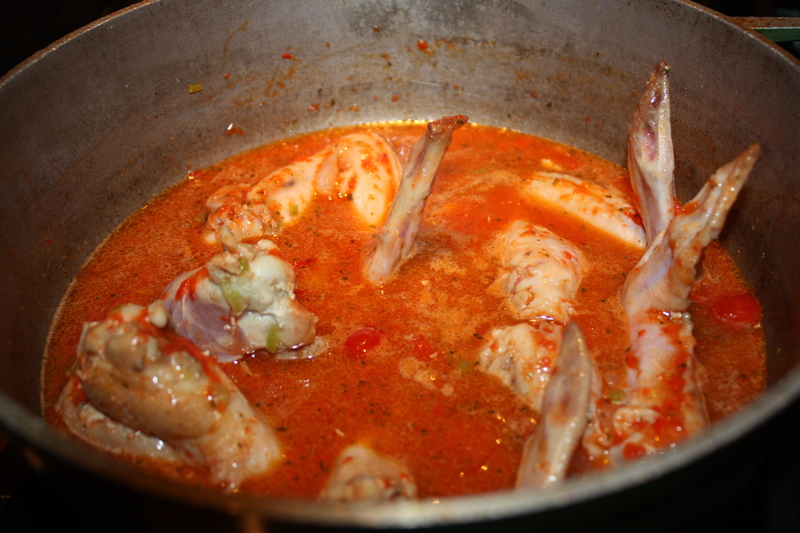 From what I’ve been told, she would set up a “cooking marathon” before she came back to PR and cook large quantities of Caldo Gallego for them to freeze. Kas is now an expert making this dish. 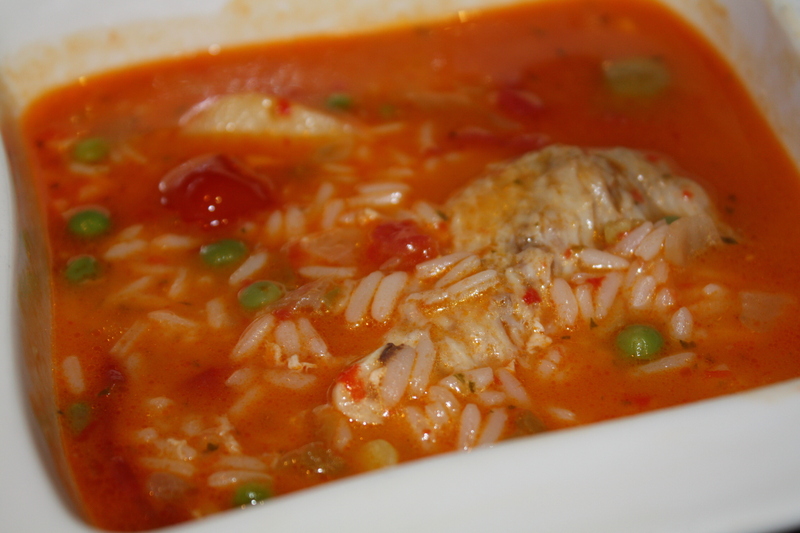 Here is my version of Caldo Gallego. 1. 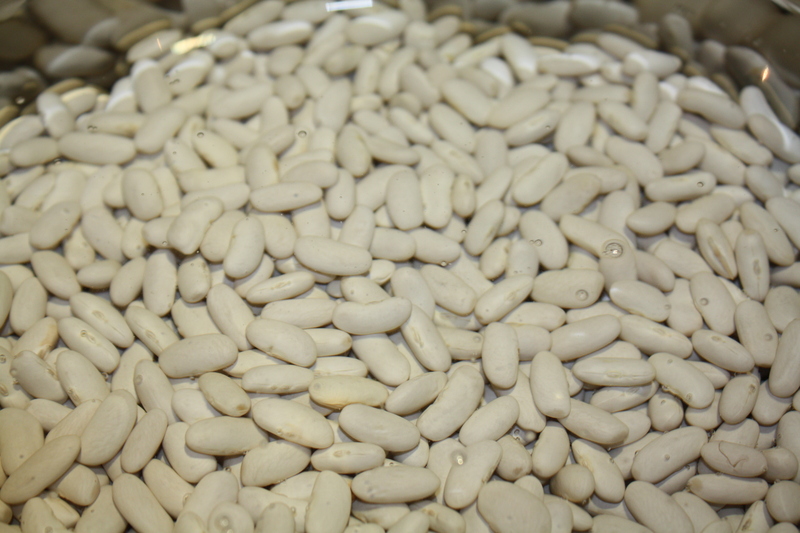 Place the beans in a bowl and cover with about two inches of water. Place in the refrigerator overnight so that they start to become soft. Thaw collard greens overnight in fridge. 2. In a heavy deep saucepan pour 8 cups of water with “lacon” and whole chorizos to make the broth. Once the water comes to a boil put “unto” or pancetta in and take out what is left after 15 minutes and discard. Cover and allow to boil for almost 1 hour. 3. 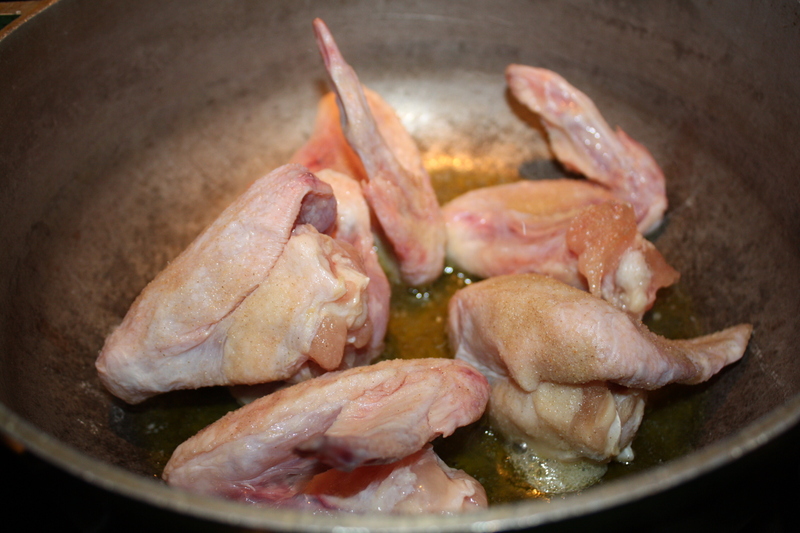 After 1 hour add white beans, cover again and boil for about 30-40 minutes until beans are almost done and tender. 4. Meanwhile, chop cabbage and peel and cube potatoes and add them to the soup after step 3. Check if you need to add more water. 5. Take chorizos out of pot and slice them and put back in. Take “lacon” out of pot shred meat and take away bone. Put meat back into pot. 6. Once potatoes are done (aprox. 20 min) add collard greens until fully cooked. Add salt to taste if needed.